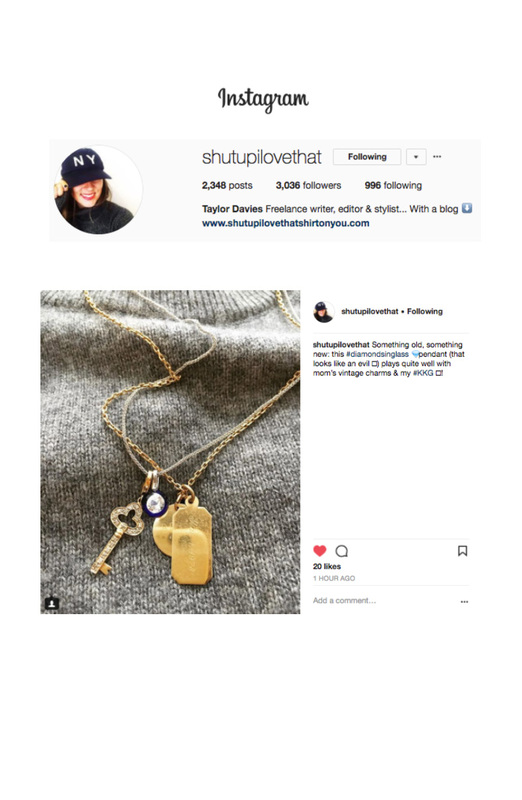 The Diamonds in Glass® Caroline Pedant in White Gold with a Blue Glass background was featured on Shut Up I Love That’s Blog and Instagram. The pendant is included in the Holiday Tip: Treat Yourself to a Holiday Heirloom-Worthy Piece story that shows the pendant as a modern day heirloom that can fit easily into your everyday jewelry looks. View it on her blog and Instagram.